Do Bald Men Have More Testosterone? It’s a hair loss myth we’ve all heard: bald men are more virile, have higher testosterone levels, and so on. But is it actually true? Or just an old wives’ tale? Well, hormones do play an important role in androgenetic alopecia – but there’s more to it than just testosterone. So, do bald men have more testosterone? Let’s take a look at the facts behind the myth. Testosterone is known as the male hormone. Although it is present in small amounts in females, men tend to have around five times as much as women. The link between hair loss and testosterone has been observed for centuries. The ancient Greek philosopher Aristotle, for example, noted that eunuchs – who have almost zero testosterone – didn’t go bald. A similar observation was also noted as late as the 1960s, when Yale doctor James Hamilton (from the Hamilton-Norwood scale) observed that castrated boys never developed signs of male pattern hair loss. Testosterone has many effects in the body – from increased muscle mass to deepening of the voice. But it’s not just testosterone that causes these androgenic effects. Testosterone is also converted into other hormones – and it’s these that are primarily responsible for hair loss in men. DHT is a by-product of testosterone. It’s far more potent, binding to androgen receptors with an affinity around three times greater than ordinary testosterone. DHT binds to receptors in hair follicles, causing them to shrink. Eventually, the follicle shrinks so much that it stops producing hair altogether. Around 7% of testosterone in the body is converted to DHT. This occurs when testosterone interacts with the enzyme 5-alpha reductase. In theory, then, more testosterone should also mean more material to create DHT and thus increased hair loss. You can see, then, where the idea that bald men have more testosterone comes from. Firstly, people have different levels of 5-alpha reductase, which affects how much of their testosterone actually becomes DHT. One person might have low levels of testosterone, but if he also has high levels of 5-alpha reductase, he’ll have higher levels of the hair loss-causing DHT hormone. Similarly, a man with very little 5-alpha reductase (perhaps as a result of finasteride or dutasteride) could have lower DHT levels despite having more overall testosterone. The second factor that influences the impact of DHT on hair loss is the hair follicle itself. Some (lucky!) people have hair follicles that are resistant to the hair-shrinking effects of DHT. 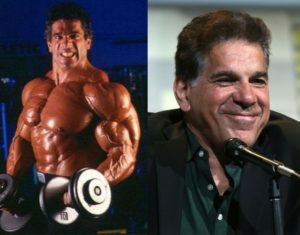 In this article on the impact of steroids on hair loss, for example, I use bodybuilder Lou Ferrigno as an example of someone whose hair is immune to the damaging effects of DHT. If you aren’t one of the lucky ones with genetically resistant hair, your best bet is to use hair loss treatments that reduce DHT levels and tackle the underlying causes of hair loss. So, do bald men have more testosterone? There are a range of factors that influence whether men go bald or not. Genetics – inherited from both mother and father – determine how resistant your hair follicles are to DHT. These genetics, as well as environmental factors, also influence testosterone and DHT levels. But it’s not as black and white as baldness = more testosterone. For every macho bald guy like Jason Statham, Bruce Willis, or Dwayne Johnson, there’s an equally geeky bald guy. Baldness doesn’t necessarily mean high testosterone, nor does high testosterone necessarily lead to baldness. However, if you are genetically susceptible to male pattern hair loss, increased testosterone levels are likely to make it fall out more quickly. This is because more testosterone generally means more DHT. So, if you are losing your hair, unfortunately you can’t claim to be more virile or manly than your hairy peers. Sorry! Visit the forum to find out what really works – and doesn’t – for hair loss! Next post: Has STEVE CARELL had a Hair Transplant?